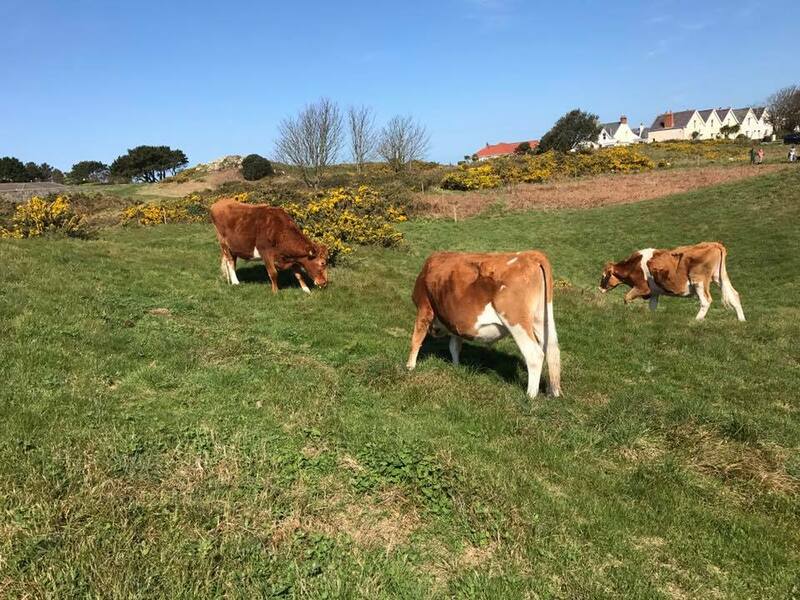 The (Guernsey) Conservation Herd have been invited to graze L’Ancresse Common and were moved to the common on Sunday 2nd April. La Société Conservation Herd were invited to graze the Common by Vale Commons Council as a trial to re-introduce grazing. This initiative has been set up under its new management regime which aims to protect the area as an important recreational and cultural site whilst also enhancing the internationally important grasslands. 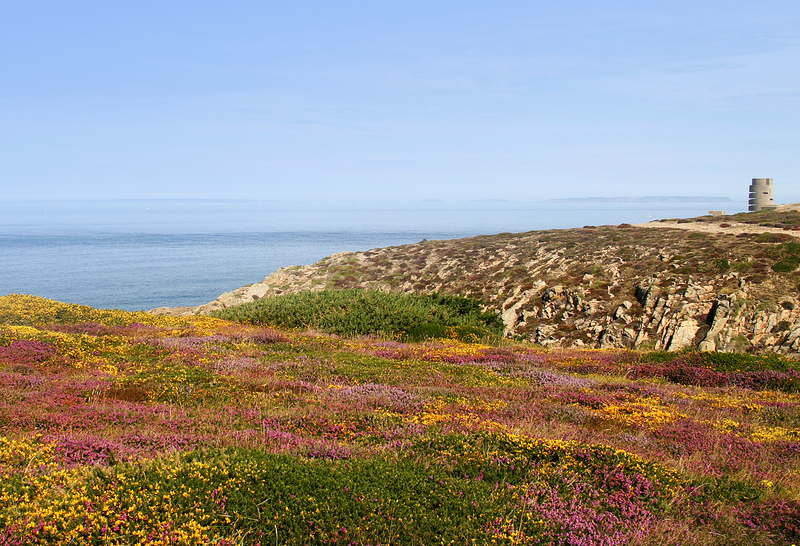 L’Ancresse Common was historically grazed by inhabitants of Braye du Valle, who have rights to graze their animals there. 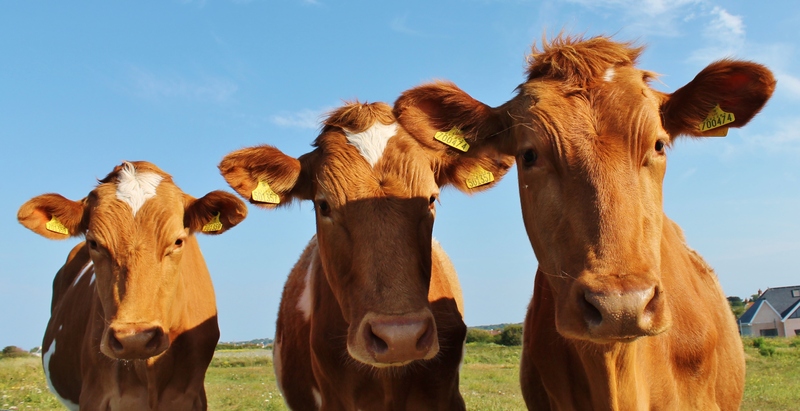 As fewer households kept their own cows and it became less economically viable for dairy farms to graze theirs on the common, the number of grazing animals there reduced. Today, no inhabitants exercise their right to graze. This loss of grazing has had a significant impact on the ecology of the common – the grassland has become tall and rank and areas have become established by gorse and brambles. The delicate wildflowers which require short, grazed grassland no longer have access to light and so are being lost from the common. This, in turn, leads to a loss of the insects, small mammals, bats and birds which rely on them. The Conservation Herd is a herd of eight Guernsey steers whose job is to manage grasslands to protect and enhance their diversity. La Société was approached by VCC to graze the common for several weeks, starting from April 2nd. This initiative is a trial of a longer-termed project which aims to see more grazing animals return to the common. The Conservation Herd will be grazing within electric fencing for several weeks around The Doyle area and will be checked daily by the team which cares for them. La Société and the Vale Commons Council would welcome assistance from regular dog walkers and people who walk or exercise around L’Ancresse. ‘Watchers’ are sought to keep an eye on the cattle when they’re passing and report any problems or concerns to the Conservation Herd team. 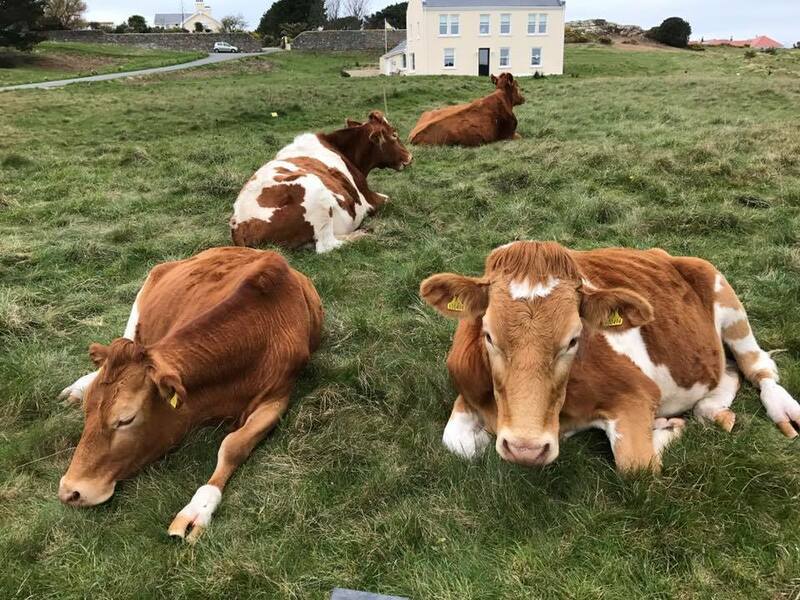 Anyone who would like more information on the Conservation Herd is welcome to contact Julia Henney at conservationherd@societe.org.gg and visit our online map here to track where they are grazing. 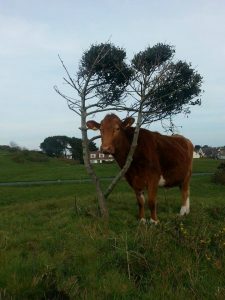 This entry was posted in Blog, Bracken clearance, Grazing, Top News by Glyn Young. Bookmark the permalink.